We are a leading manufacturer and exporter of forming tools that are used in the manufacturing of chain, bracelet, watch strap link and beads link using automatic link forming machines. The cutting and subsequent forming which are executed by the tools are moved by the cams. 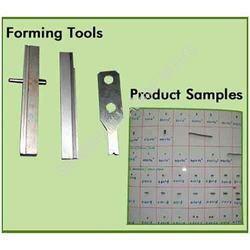 These forming tools can also be availed in various shapes according to the customer requirements. 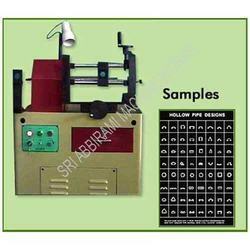 Click on the picture to view the sample in different sizes that are manufactured using automatic link forming machines. The samples shows the various shapes and sizes of chain, bracelet, watch strap link and beads link designs. 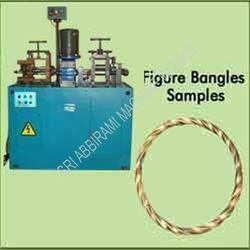 Our figure bangles machines are used for forming different shapes of vertical axis Nelli bangles. These profiles, shapes can be obtained by interchanging of high carbon hi chrome rollers. Quick changing roller attachment: Miller, design, embossing rollers are easy to change (Approximate change time 1-2 minutes) as and when required by comparing available, existing machine in the market. Twisting and straight drawing attachments: This can be used for bangle twisting, straight tubes, straight square tubes making purpose. Our tube forming machine are suitable for small jewelry shops and helps them to produce tubes from metal or a gold sheet. These tubes can easily be produced in different shapes as the rollers and dies in the machine can be changed. The optional accessories that are available with our tube cutting machine are adjustable opposed shear unit. The cutting adjustments provided by our tube cutting machine are very accurate. 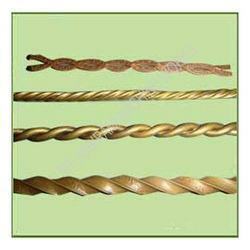 The blades of these machines are made from alloy steel and helps to provide the long durability of the machine. Click on the picture to view the hollow pipe designs manufactured by combined tube cutting machine. These machine can also modify the design and can develop the designs apart from the showcased designs. 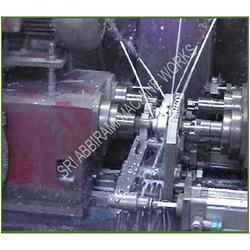 We also supply 3-Way boring, chamfering, drilling and tapping machine which can be customized as per the client needs. We also supply the similar machine which can also be custom designed and built as per customers specific requirement. We are leading manufaturer and exporter of Jeweler Cutting Tools in Coimbatore, Tamil Nadu, India. The tube forming dies shown here is used in combined tube forming machine for the production of the tube from a metal/gold sheet. 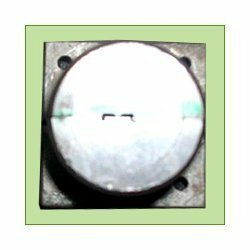 These tube forming dies are manufactured according to the customer requirements so that they can make the best use of these dies. Our extrusion dies and tube forming dies are used in tube forming machines and helps in manufacturing of tube from metal or gold sheet. 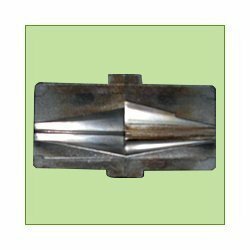 These extrusion dies can be customized as per the client requirements to meet the customer requirements so that they can provide the best performance to their customers. We provide a precision engineered range of bangles machines, that are used for forming different types of bangles. Sturdily build from high grade material, these machines offer better efficiency, require less maintenance and are easy to operate. Highly reliable and durable, our range is available in different specifications to suit the variegated requirements of clients. We provide a precision engineered range of bangles machines, that are used for forming different types of bangles. Sturdily build from high grade material, these machines offer better efficiency, require less maintenance and are easy to operate. Highly reliable and durable, our range is available in different specifications to suit the variegated requirements of clients. Figure or Design can be formed on half round surface and flat surface. Quick changing roller attachment :Miller, design, embossing rollers are easy to change (Approximate change time 1-2 minutes) as and when required by comparing available, existing machine in the market. Twisting and straight drawing attachments :This can be used for bangle twisting, straight tubes, straight square tubes making purpose.